Our packaging even protects nature. Our packaging even protects nature. Our packaging even protects nature. Way ahead in all things sustainability. Because our products use environmentally friendly materials exclusively. To us, the sensible utilisation of energy is of prime importance. Our plants were already certified according to the environmental management system DIN/ISO 14001 back in 2001. With paper being the lion’s share of the raw materials used by Gissler & Pass, we prioritise paper suppliers that verifiably practice sustainable forestry. Also, as far as practically feasible, we attach major importance to sourcing paper that is high in recycling content. A corrugated board box placed in the middle of the forest feels at home there, as the forest is the source of the paper which is used to manufacture corrugated board. Container board consists of around 80 % recycled materials such as waste paper, cardboard boxes and used corrugated board. 20 % is made up of so-called virgin fibres. They are obtained in the paper factory from sawmill waste and thinnings, which accumulate during the maintenance of sustainably managed forests. The glue which connects the outer sheets and the inner sheets to each other is made out of starch – also a natural product, which can be obtained from corn, wheat or potatoes. More and more paper manufacturers are having their commitment to sustainability confirmed in writing – for example, by utilising wood and wood products from sustainably managed forests which can be verified as such. Certifications from supranational, globally recognised and independent institutions such as FSC® (Forest Stewardship Council®) or PEFC (Programme for the Endorsement of Forest Certification Schemes) provide evidence of this. With their seal of approval, these organisations guarantee that the products provided do indeed originate from sustainable forestry. Packaging made from the natural packaging material corrugated board score points thanks to their environmental compatibility. Consumers are often just as interested in the ecological properties of the packaging as they are in its contents – for this reason, the eco seal has been developed. It identifies packaging as ecologically favourable and therefore provides valuable information for the consumer. The Verband der Wellpappen-Industrie e.V. (Federation of the Corrugated Board Industry, registered association) makes the eco seal available for printing onto corrugated board packaging. Gissler & Pass also use the seal. As a company which acts responsibly, Gissler & Pass GmbH considers the protection of the environment to be an essential feature of its corporate philosophy. The exclusive use of environmentally-friendly raw materials and the conscious application of energy sources are of the highest importance at Gissler & Pass. Accordingly, our plants have been DIN / ISO 14001 certified since as early as 2001 in accordance with the environmental management system, and therefore all environmentally-relevant processes have been considered. Every process is regularly reviewed and judged with a view to its effects on the environment and further improved for the protection of the environment. The packaging that we manufacture corresponds to the ecological principles of sustainability, resource conservation and the raw material cycle. Of all the raw materials used at Gissler & Pass, paper has the largest proportion. 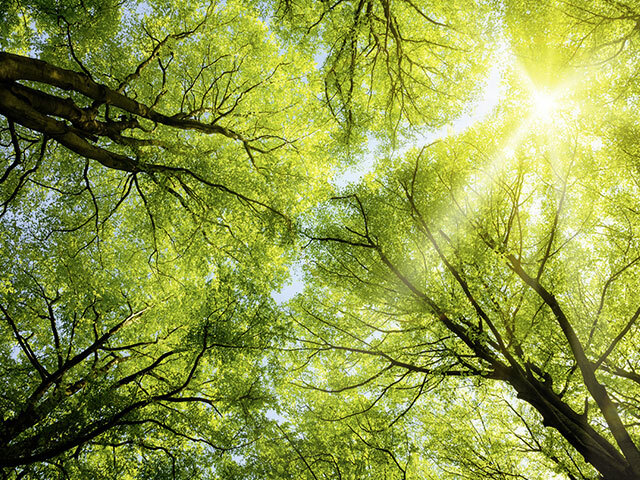 We prefer to work together with paper suppliers who practise verifiably sustainable forestry and regulate paper production with the help of environmental management systems analogous to ISO 14001 and/or EMAS. The types of paper used by us demonstrate a high proportion of recycled content, depending on the intended purpose. It is our aim to increase this proportion further, as far as is reasonable with regard to its technical feasibility. In this way, in addition to sustainability aspects, factors such as tearing strength or printability have an influence on the choice of paper. 100% of the waste paper and cardboard accruing in the manufacturing process is fed into the recycling at G&P. The commercial success of more than 130 years is based on long-standing successful partnerships. Therefore, we will also continue this in the future with our customers, suppliers and employees. Within the scope of these sustainable business relationships, we urge our contractual partners (e.g. suppliers) to use the same environmental standards that we do. A sustainable personnel policy with comprehensive and advanced training provisions for our employees ensures that all our workers accept the philosophy for the protection of the environment and implement all measures in a responsible manner. Where investment and procurement policy is concerned, the effects on the environment are an important criterion for decision making. All of our contractual partners are included in our commitment to a responsible handling of resources. As is usual practice in all Gissler & Pass plants, the highest environmental standards and a GMP equitable quality management (Good Manufacturing Practice) also apply to the technology used in the Gissler & Pass printing plant. A significant example of the implementation of environmental protection is ventilation and air-conditioning technology. This technology enables the entire building to be heated with the waste heat from printing machines. Close partnerships with schools and universities emphasize our sustainable personnel policy. Young people are acquainted with essential topics of working life at an early stage by means of various school projects. This also includes responsible handing of our resources. Energy conservation is determined and processes are optimised in the course of various research projects with selected universities.